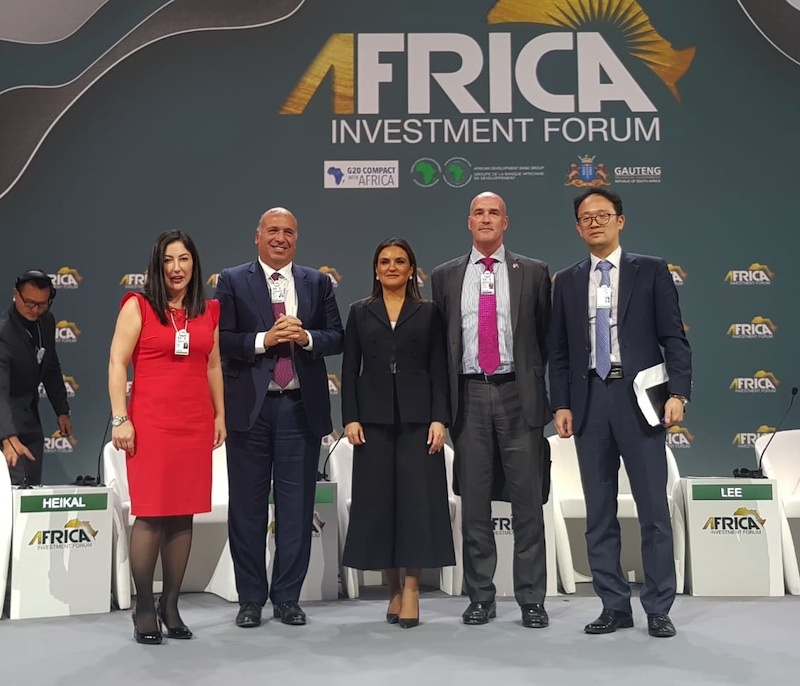 Qalaa Holdings Chairman Ahmed Heikal Presents Landmark ERC Case Study at Africa Investment Forum in Johannesburg, South Africa. Qalaa Holdings Chairman and Founder Ahmed Heikal showcases US$ 4.3 bn greenfield refinery as a successful example of a private sector-led infrastructure mega-project that will provide a domestic substitute for c. 40% of Egypt’s diesel imports. Ahmed Heikal, Chairman and Founder of Qalaa Holdings, an African leader in energy and infrastructure, presented global and regional delegates at the African Development Bank’s “Africa Investment Forum” with lessons learned from Qalaa’s 12-year journey to develop the Egyptian Refining Company (ERC), Egypt’s largest private sector led infrastructure mega-project. Heikal spoke as part of a high-level panel that included Malek Fawaz, Advisor to H.E. Dr. Sahar Nasr, Egypt’s Minister of Investment and International Cooperation, Joohung Lee, Director of the Export-Import Bank of Korea’s Plant Finance Department, and Timothy Turner, Group Chief Risk Officer for the African Development Bank. 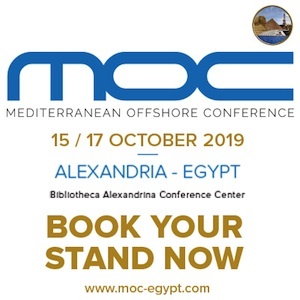 Currently in the final stages of technical testing and well on its way to starting full-scale commercial production in 2019, ERC, a US$ 4.3 bn greenfield refinery located at the heart of the consumption market in Greater Cairo, has the capacity to produce 4.7 million tons of refined products and high-quality oil derivatives per year, including more than 2.3 million tons of Euro V diesel. “Seeing an immense project of this nature through to completion has not been without challenges,” said Heikal. “In order to put together the financing for ERC, we needed to call not just on our own financial resources, but on a deep network of international investors, banks and guarantors. This ability to access financing from development finance institutions (DFIs), export credit agencies (ECAs) from Europe, Asia and North America as well as sovereign wealth funds from the Gulf is what made ERC possible,” explained Heikal. Since the initial days of planning, over twelve years ago, the idea of a modern, greenfield petroleum refining upgrade and import substitution project in Egypt also received strong support from the Egyptian government. The Egyptian General Petroleum Corporation (EGPC) is an important equity partner in ERC. Throughout the project cycle, however, Qalaa Holdings had to overcome several obstacles successively such as the global financial crisis in 2008-2009 followed by the January 25th revolution in Egypt, both of which put significant pressure on banks and reduced investment appetite. “The fact that we successfully kept the lender group and all other stakeholders engaged during this period is a testament to the economic strength of the project, its importance in addressing Egypt’s increasing demand for refined products and the stakeholders’ long-term commitment to support Egypt’s economic and political development,” said Heikal. ERC is a cornerstone of Egypt’s economic security and will reduce c. 40% the nation’s present-day diesel imports. What’s more, by supplying the local market with cleaner diesel, ERC will cut Egypt’s current sulfur emissions by nearly one-third. At peak construction, ERC created more than 16,000 employment opportunities including 700 permanent jobs. “ERC is transferring industry knowledge to thousands of local workers who are receiving extensive on-the-job training from some of the world’s leading experts in the field. 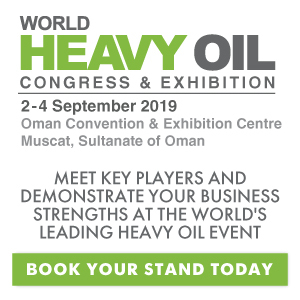 Local staff work alongside dozens of nationalities onsite including Egyptians, Americans, South Koreans, French and South Africans with years of expertise in the refining and construction sectors. As a central component of its local community development program, ERC has also launched a successful scholarship program that provides educational opportunities and vocational training to community members,” said Heikal. “It is difficult to understate the transformative impact of this mega-project on the Egyptian economy and on our company. ERC is an asset that can make meaningful, ongoing contributions to national growth in a manner that not only adds value to existing resources, but that also marshaled billions in foreign direct investment to develop an environmentally and socially responsible project,” added Heikal. 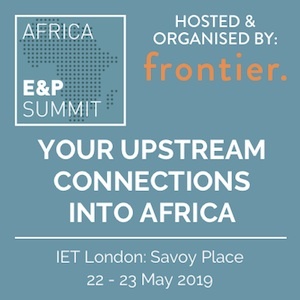 Heikal presented the ERC case study in a panel entitled “Compact with Africa”, an initiative that aims to increase attractiveness of private investment through substantial improvements in the macro, business and financing frameworks. The initiative brings together reform-minded African countries, international organizations and bilateral partners from G20 and beyond to coordinate country-specific reform agendas, support respective policy measures and advertise investment opportunities to private investors.